We’d love your help. Let us know what’s wrong with this preview of A Boy Named Harry by Patrick Yee. 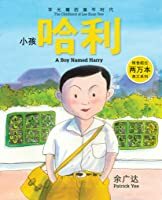 A Boy Named Harry tells about the childhood of modern Singapore’s founder, Lee Kuan Yew, in language accessible to young children. Harry grew up in a country that is very different from what it is now, went to school in a one-room schoolhouse and although he was a natural in English, mathematics and science, worked hard to gain entry into the prestigious Raffles Institutio A Boy Named Harry tells about the childhood of modern Singapore’s founder, Lee Kuan Yew, in language accessible to young children. Harry grew up in a country that is very different from what it is now, went to school in a one-room schoolhouse and although he was a natural in English, mathematics and science, worked hard to gain entry into the prestigious Raffles Institution. The book also relates Harry’s playful moments and shows the mischievous side of the boy who grew up to lead and build Singapore into a modern country. To ask other readers questions about A Boy Named Harry, please sign up. After reading this book, I got to know more about the childhood of our founder of Singapore. Really a good read, enjoyed it very much. 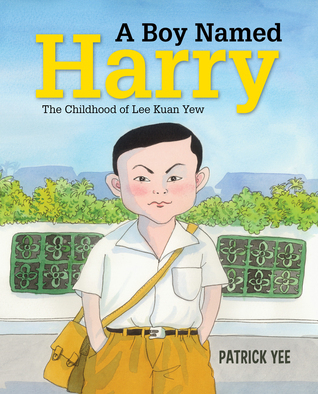 A picture book biography of the childhood of Lee Kuan Yew, the modern founder of Singapore. This is book one of three about the much-adored Singaporean Prime Minister. It's an honest read that may inspire students to persevere despite challenges. The childhood of the Prime Minister of Singapore who was the leader of the People's Action Party, and is credited with bringing Singapore through hard times and into the prosperous state it is currently in. Gives a good sense of a historical time in Singapore. Includes timeline of life. Patrick Yee is an award-winning illustrator of more than 100 children's books. He won the Macmillan Prize for Children's Book Illustration twice. He currently teachers at Nanyang Polytechnic, the Nanyang Academy of Fine Arts, the Spastic Children's Association, and the AWWA Special School.